Seeman Holtz Property and Casualty is growing with the acquisition of an Indiana insurance agency. Seeman Holtz Property and Casualty has continued its expansion with the acquisition of a top insurance agency. 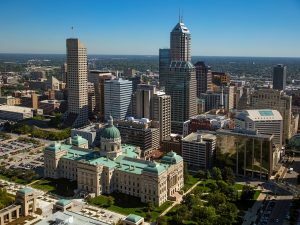 The company announced it has acquired Ritman & Associates, Inc., one of the nation’s premier professional liability agencies, headquartered in Noblesville, Indiana. Ritman & Associates, founded and built by Jennifer Ritman, is a boutique insurance agency specializing in all things property and casualty with an emphasis on professional liability insurance for attorneys. The insurance agency has served Indiana, Illinois, Ohio, Kentucky, Michigan, South Carolina, Wisconsin, Missouri, Arizona, Tennessee, Florida, Maryland, Alabama, Kansas, Mississippi, and Virginia for nearly thirty years. Ritman and her team will lead Seeman Holtz Property & Casualty’s lawyer and business division. Ritman & Associates fits the Seeman Holtz strategy, in that it has been high-growth, topnotch insurance agency for some time. The company will strengthen Seeman Holtz’s presence in the Midwest, on top of helping to build the company’s lawyer and business services. “We don’t try to fit square pegs into a round hole. By the same token, we don’t filter everyone into one company or program. We couldn’t be more excited for this new opportunity to serve our clients,” Ritman says. Seeman Holtz Property and Casualty has been undergoing major expansion by targeting high growth firms around the country. The company has made several acquisitions in addition to Ritman & Associates in the past few months. Recent acquisitions include: Merchants Preferred Insurance Services, Inc. of Erie, Pennsylvania; Xponent Employer Solutions of Scottsdale, Arizona; Fifth Avenue Healthcare Services of Tulsa; Missouri-based Tri-Star of Sikeston, Inc. DBA Self Insurance; the Federal Employee Insurance business of Federal Employee Services, LLC, of Edmond, Oklahoma; and Elton Porter Insurance Agency of Houston; the book of business from Affiliated Insurance Managers, Inc., headquartered in Morgan City, Louisiana; and JEM Insurance Services, Inc. in Boca Raton, Fla.